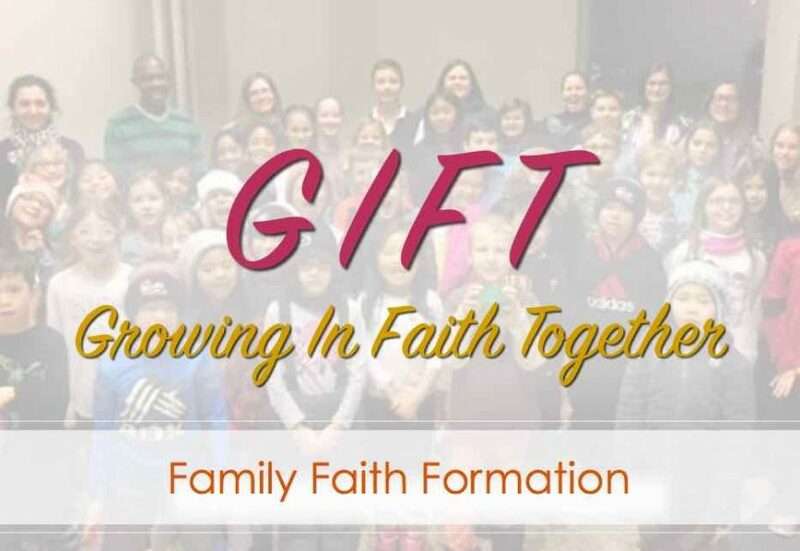 The Seventh Session of our NEW Family Faith Formation Process: G.I.F.T. will take place this Sunday, April 10! This year, our Faith Formation process launches a new and fresh approach to children’s faith formation: G.I.F.T. – Growing in Faith Together. Beginning in October, parents and children are invited to come and learn about our Christian Catholic Faith together. 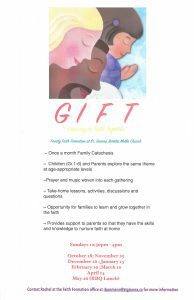 Families with children in Grades 1-6 will explore and discover the great gift of our faith in meaningful and interactive ways. Prayer and music, hands-on activities and discussions will be a part of each of the gatherings. Families will have the opportunity to learn and grow together in faith with the support to develop the skills and knowledge to nurture faith-learning at home. The gatherings will be held one Sunday per month, October to May, beginning immediately following the 11:00 a.m. Liturgy and concluded by 4:00 p.m. This whole family faith formation process is replacing the current Wednesday Evening Weekly session.